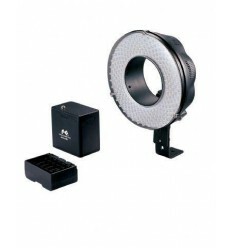 LEDB-1000 is an energy-efficient LED-studio lighting performed in a enclosure such as a studioflash monobloc. 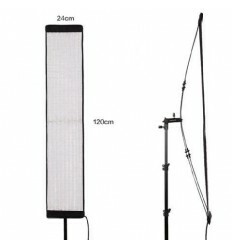 This concept has the benefit that with this appliance all accessories (light modifiers) with a Bowens S-type coupling can be placed. 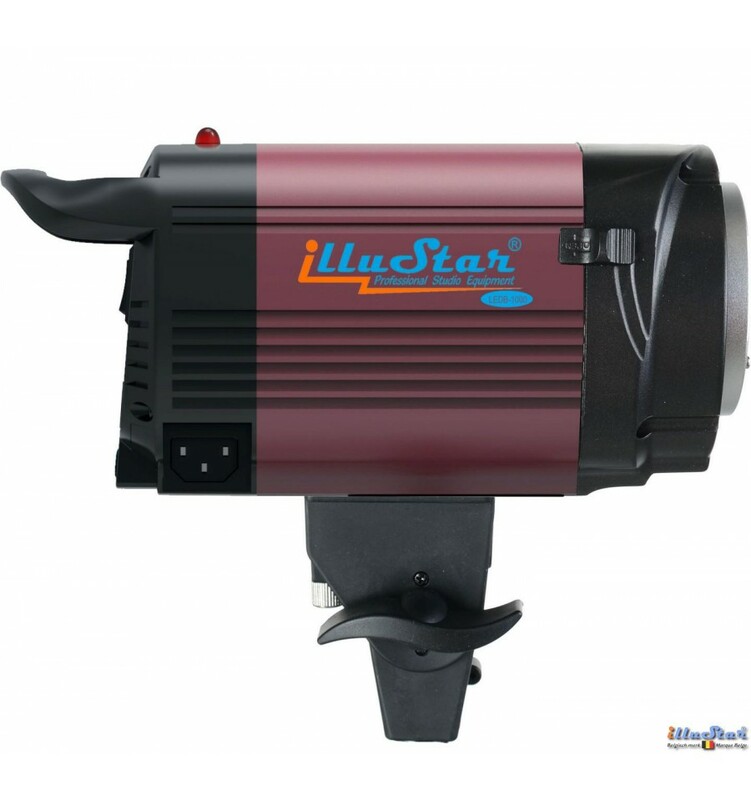 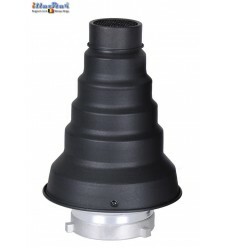 The illuStar® LEDB-1000 appliance is compact and lightweight, with a very high light output versus an extreme low energy consumption, It is bump resistant and emits only low heat. 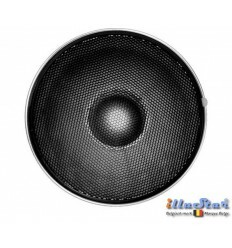 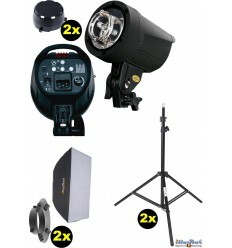 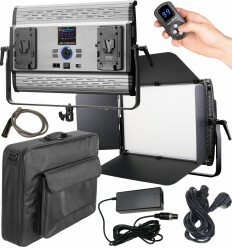 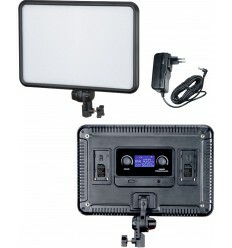 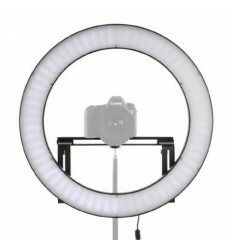 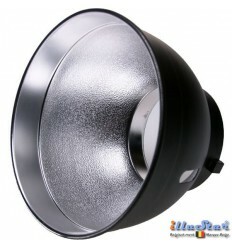 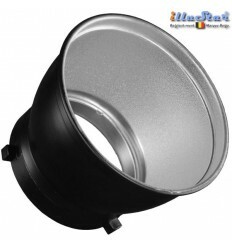 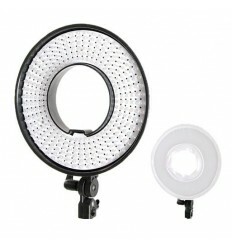 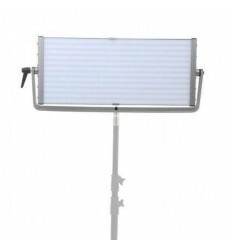 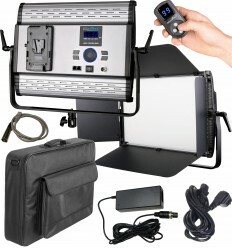 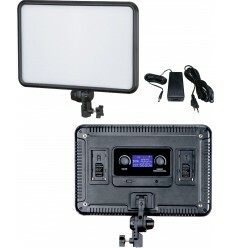 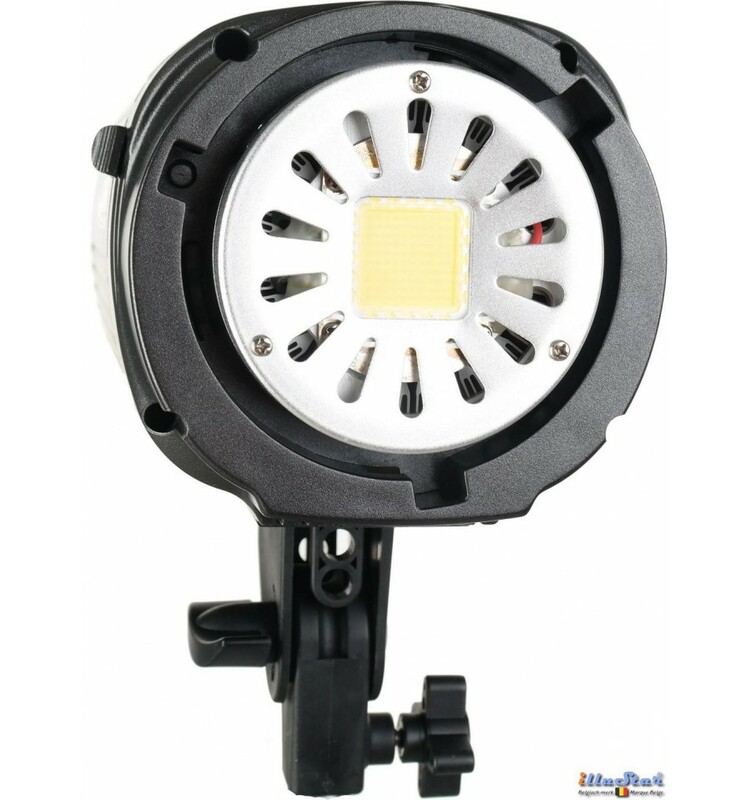 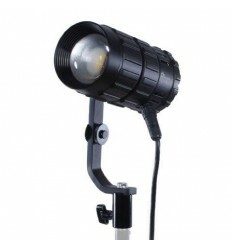 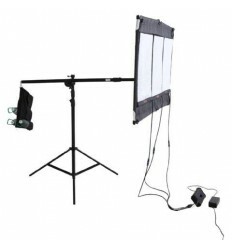 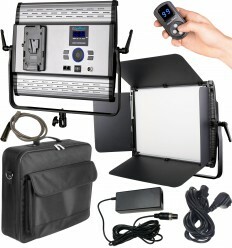 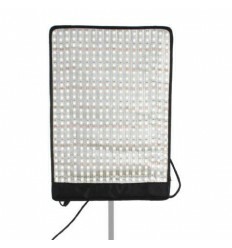 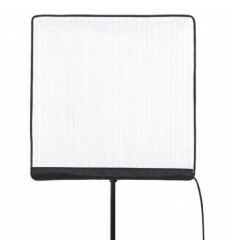 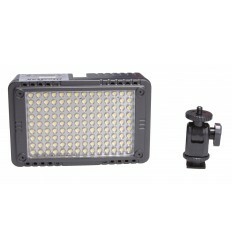 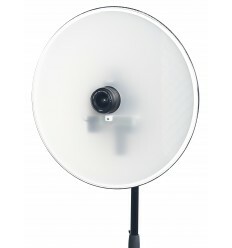 illuStar® relies for this studiolighting appliance on a HiBrite daylight LED Module. 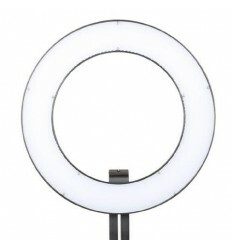 High CRI 90+ guarantees true reproduction of the colours - even the highest subtle shade. 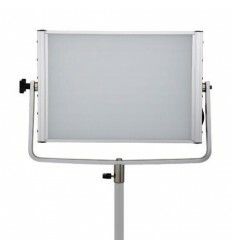 The HiBrite LED Module has a life expectancy of more than 50,000h, It is fixed on a high quality heat transmitting aluminium mirror adapted with a long round aluminium ‘heatsink’ with cooling fins, ventilated by a quiet 25 db ventilator. 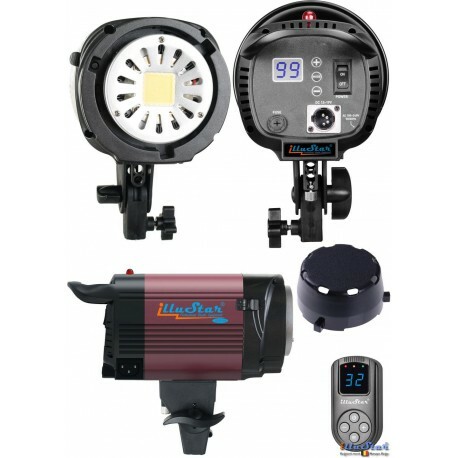 The light flux is on the the appliance and via remote-control steplessly variable from 10 tot 100% while maintaining the colour temperature over the flexibility ratio. 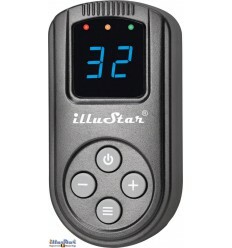 The appliance has a built-in 2.4 GHz 99-channel receiver, compatible with the WR-L99 remote control. 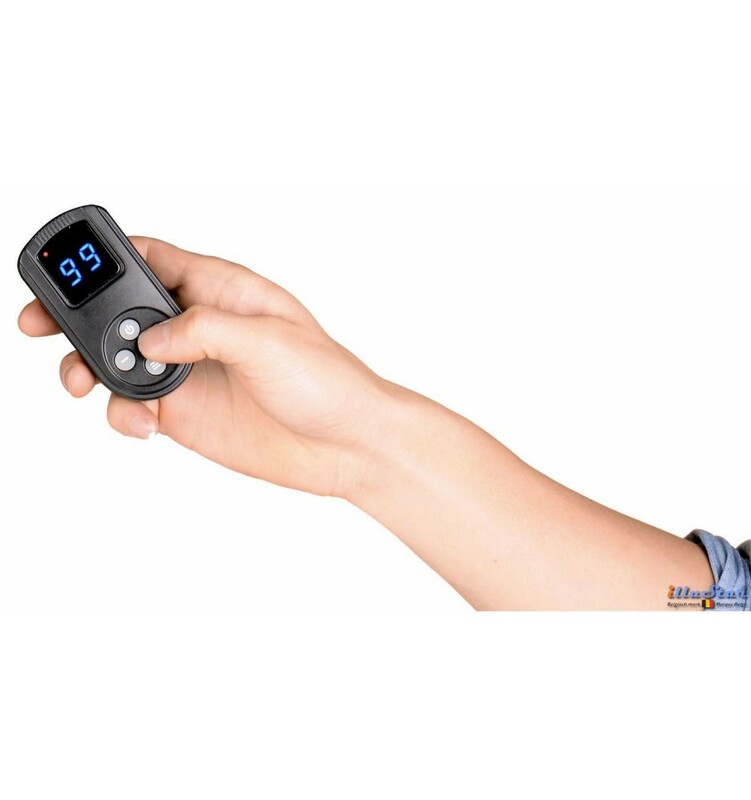 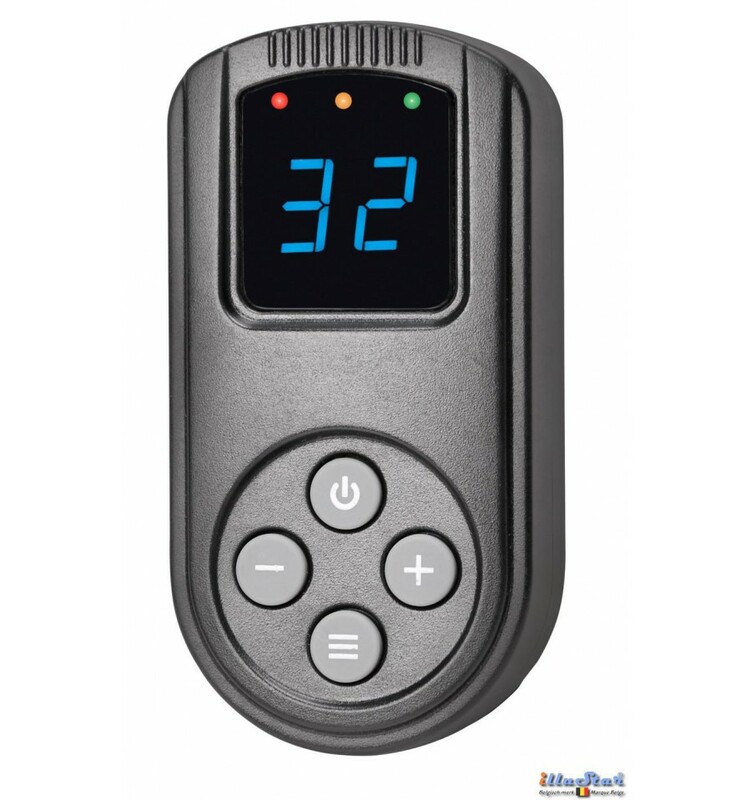 The reproduction on the digital display of the remote control is the same as the display of the LEDB-1000. 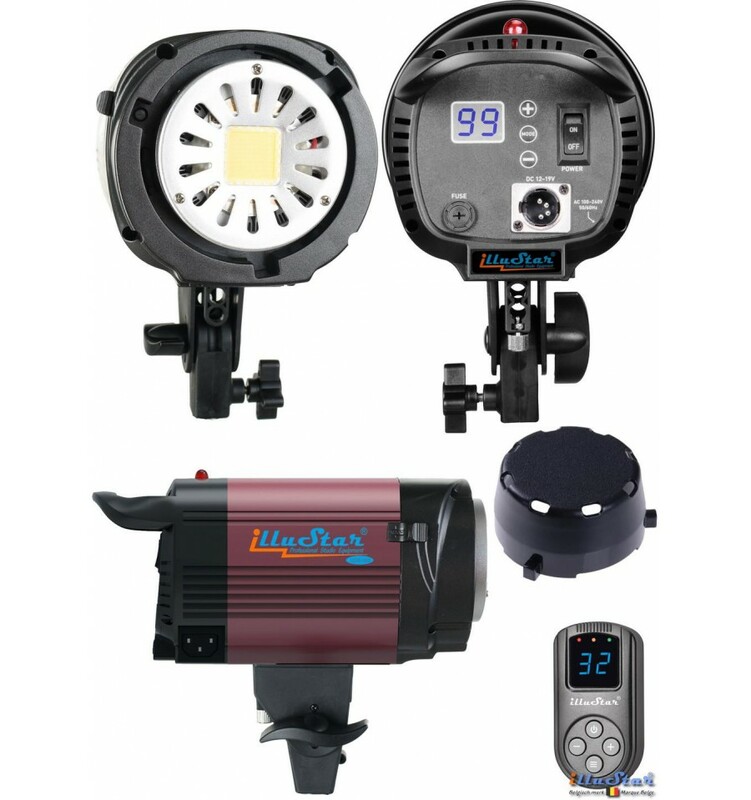 The next time you switch on the LEDB-500, your previous settings will be displayed. 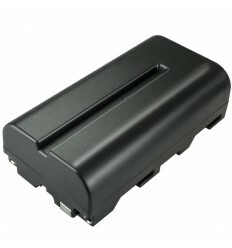 A standby mode can be activated or switched off with the remote control. 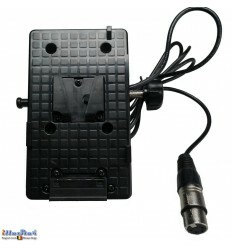 Supply voltage 220V AC and 12V DC. 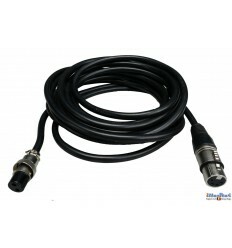 For a 12V DC power supply a 4-pin XLR input has been provided. 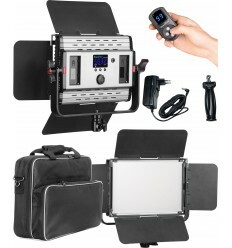 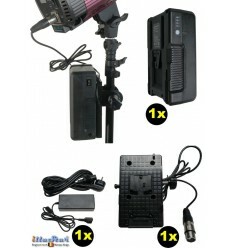 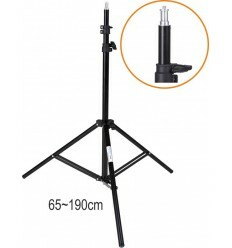 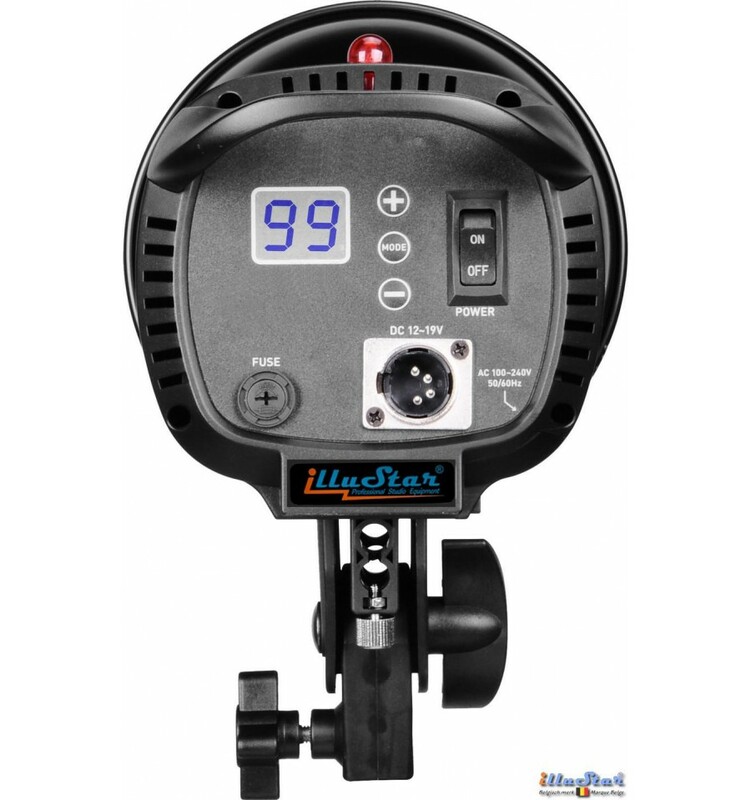 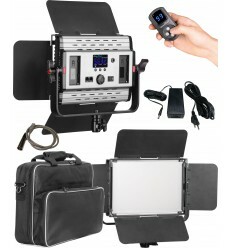 With an optional battery it is highly suitable for use on location. 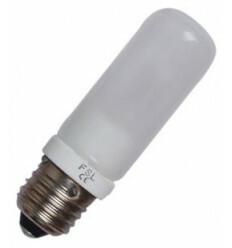 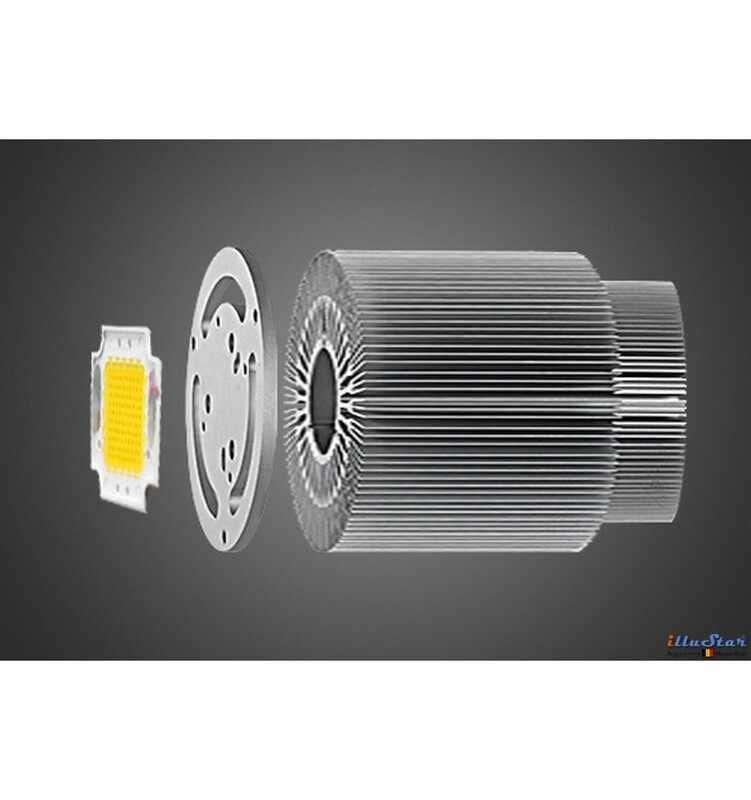 - LED Power : 100W. 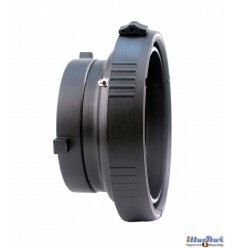 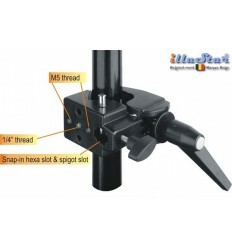 - Bowens S-type compatible coupler for accessories. 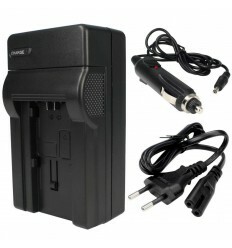 Caution: If the device is connected to a battery, it must be disconnected after use.